Stainless Steel 316 Seamless Tubes, SS Seamless 316 Tubes Exporters, DIN 1.4436 Stainless Seamless Tubes, SS 316L Seamless Tube, Stainless Steel UNS S31600 Seamless Tubing Supplier, Stainless Steel UNS S31603 Seamless Tubes, DIN 1.4401 Stainless Seamless Tubes, WERKSTOFF NR. 1.4404 / 1.4435 Seamless Tubing Manufacturer in India. SS 316 Seamless coil tubing, Stainless Steel 316L Seamless Tubes, SS 316L Cold Drawn Seamless Tubings, SUS 316/316L Seamless Tubes, ASTM A213 Stainless Steel TP 316 Seamless Tube, ASME SA 213 TP 316L Heat-Exchanger Tube, Stainless Steel 316/316L Condenser Tubing, Stainless Steel 316 Instrumentation Seamless Tubes Supplier. 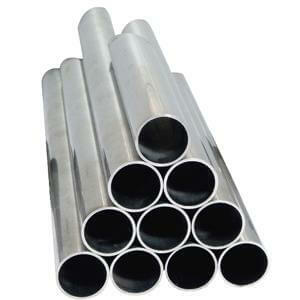 Sanghvi enterprise manufactures, trades and exports Stainless Steel 316/316L Seamless Tubes. We have a highly advanced inventory where we produce outstanding range of products. 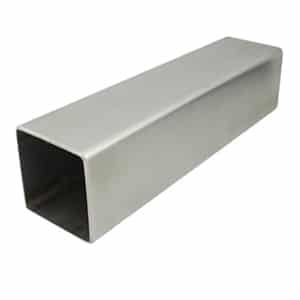 316L Seamless Tubes are low carbon variations of 316 Alloy containing molybdenum. 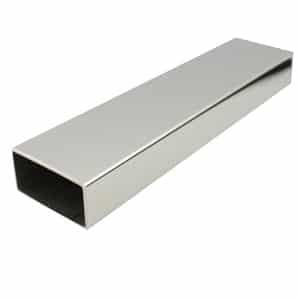 Similarly, 316 SS Seamless Tubes are austenitic steel bearing molybdenum. The molybdenum in SS 316 gives better general corrosion resistance properties. Grade 316L Seamless Tubes bears various properties such as resistance to pitting and crevice corrosion in chloride conditions. Likewise, in chloride conditions these SS 316 Seamless Tubes execute high immunity to corrosion and pitting. Our ASTM SA312 GR.TP 316L Seamless Tubes bear high resistance to creep and stress-rupture. Our UNS S31600 Seamless Tubes combine properties such as welding, formability and can be used in various industries effectively. The austenitic structure of these ASTM SA312 GR.TP 316 Seamless Tubes gives themutility even at cryogenic temperature applications. We provide highly customer-centric engagements such as on-time delivery of products and complete after sales support are valued by our customers. 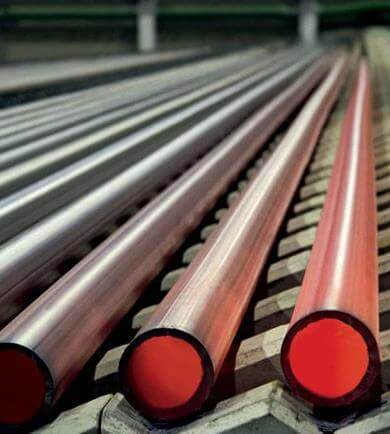 ASTM A269 SS 304L Square Tube, SS 304 thin wall Seamless Tubing, Austenitic Stainless Steel 304 Seamless Tubes Stockists, SS 304L Seamless Polished Stainless tube, 304 SS Hot Finished Seamless Tubing, 304L SS Seamless Superheater Tubes, Stainless Steel 304 Seamless Boiler Tube Stockholders in Mumbai. Contact Sanghvi Enterprise today for a best offer & competitive quotation Of Grade 316, 316L Stainless Steel Seamless Tubes..
ss 316 tubing distributors, stainless steel 316-316l tubing sizes, seamless stainless steel tubing suppliers, stainless steel tubing dimensions, stainless steel tubing sizes chart, stainless steel square tube sizes, 316L High precision stainless steel Seamless Tube, Stainless Steel 316l Seamless Capillary Tubing, 316L High temperature SS Seamless Tubing, A270 Seamless Austenitic ss Sanitary Tubing, heavy wall tubing dimensions, stainless steel tubing distributors, stainless steel tubing weight per foot, 316 ss tubing specifications, stainless steel square tubing, SS Seamless Tubing's, 316L Stainless Steel Seamless U Shaped Tube, stainless steel tubing pressure rating, heavy wall stainless steel tubing, DIN 1.4401 Seamless Tube manufactures in India, 316l stainless steel tubing, Mirror Polish Seamless Stainless Steel 316/316L Tubes, 316 Inner Polished Stainless Steel Seamless Tubes, polished stainless steel 316l tubing, seamless stainless steel 316 tubing, 316 Stainless Steel 316/316L Seamless export polished Tubes, 1/8 metal tubing, stainless steel round tubing sizes, stainless steel tubing 3/8, Stainless Steel 316l Sanitary Tubing, 2 inch stainless steel tubing, seamless stainless steel tubing size chart, 1/2 stainless steel tubing coil, 316 Outside Polished Stainless Steel Seamless Tubing, stainless steel pipe sizes chart in mm, 316 Stainless Steel Seamless Colour Coated Tubes, 3/8" stainless steel tubing, stainless steel tube sizes metric, 316l stainless steel tubing sizes, schedule 40 stainless steel pipe dimensions, 316 stainless steel tubing suppliers.